At first thought, some of the biggest benefits of moving to a new property may be living in a brand new space where everything from appliances to carpet is being used for the first time. But Abberly Waterstoneoffers a renting experience that goes beyond new paint. Living in a community where everyone is there for the first time builds a sense of community faster because everyone is new and experiencing the property together. High volume of residents moving in on one weekend creates a bond in each specific building. 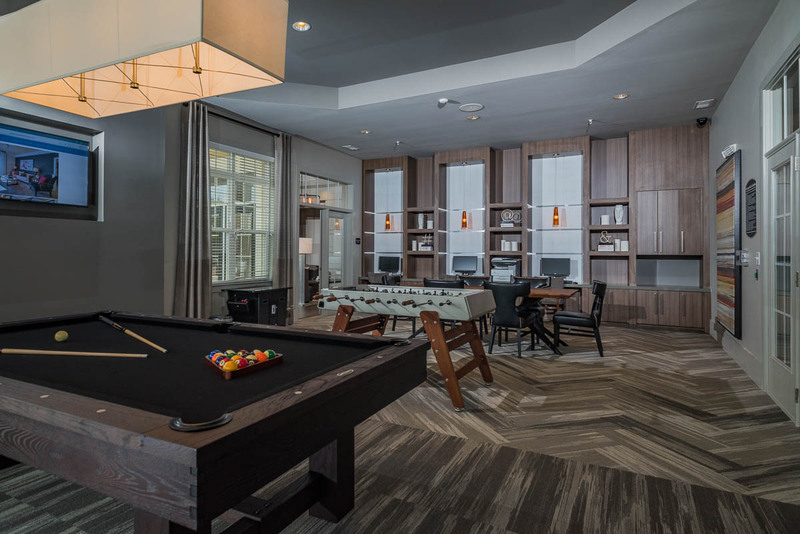 Because the property and amenities such as the pool, gym and clubroom are brand new, renters are exploring them together and taking pride in the space. Regular gatherings and resident events, all providing opportunities for residents to continue get to know their new neighbors. With every new property, residents have a unique and easy move-in experience. There is something so special about being the first person to live in a space, and everyone has opportunities to connect with others that are also experiencing this community for the first time. New residents are offered a clean slate in a unit and a community-centric property. Residents like new apartment communities because they are new, they can watch the community evolve. It's exciting to see new neighbors move in. Breaking in a new property with neighbors who are also new to the grounds allows for a unique community dynamic. With the holidays approaching, neighbors have an opportunity to share experiences and create "new" traditions in their very own community. For more information on apartments in Stafford, VA, contact Abberly Waterstone.